Choosing the right business school is more important now than ever before because it gives you a competitive edge in the tough job market. It also helps you save huge on time and money investments in your education. Here are the best three business schools in the world based on international recognition, universality and quality of education, according to findings of various reputable, independent sources like Forbes, The Financial Times and The Economist. Stanford Business School is a remarkably inspiring place to learn. The school tops various lists of best business schools in the world thanks to its world-class facilities, responsive network and stimulating culture. U.S. News ranked Stanford number one in its list of best universities in the world while Forbes ranked it number two, as of 2012. In the same year, Business Week ranked the school at number five and the Economist ranked it number eight. 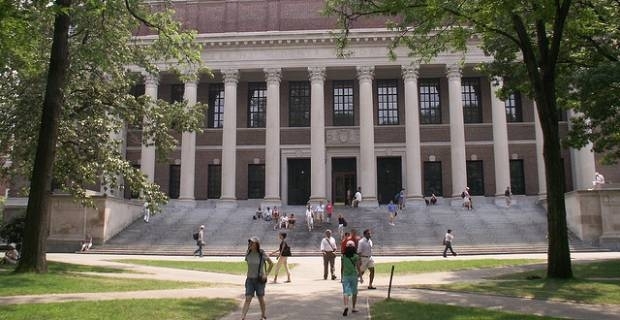 Founded in 1636, Harvard is highly selective when it comes to pickings business students. However, it boasts one of the largest business graduating class in the US. The school places an emphasis on continued innovation and research, as well as pedagogical approaches to the teaching of business. Harvard has ranked number one in U.S. News list of best universities, number two in the BusinessWeekend and number one in Forbes in the recent past. Coming in third on the list of best business schools in the world is IMD. IMD is located in Lausanne, Switzerland and has a strong reputation as one of the premier business school in the world. In 2011, IMD was Forbes’s number one ranked school for best MBA programs outside the US. In 2012, it won the Financial Times best school in open programs and the number one position ranking in executive education outside the United States. The Economist has also ranked IMD highly for MBA programs offered outside the US. University of Pennsylvania (Wharton), which has ranked at number three in the U.S. News and number four in Forbes. The London Business School has also ranked well in various international publications, including ranking at position one in Forbes for schools outside the US. The best business schools in the world assure you will get the best business training, access to world-class facilities and a conducive learning environment, which can have a profound positive impact on your professional life.